In 1960 and 1961, the H.J. Heinz Company acquired the assets of Reymer & Bros., Inc. and Hachmeister, Inc. StarKist Foods was acquired in 1963 and Ore-Ida Foods, Inc. in 1965. Around this time and during the 25 years that H.J. Heinz II was chief executive, the food industry changed greatly. The era was marked by the rise of supermarket chains and the development of new distribution and marketing systems. It seems things had come full circle. 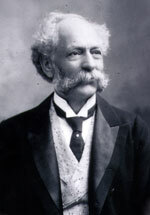 HJ Heinz the company founder and Jacob Reymer, the founder of Reymer Brothers were always friendly and collaborated on countless undertakings during the 1860’s and 70’s Heinz strategy in those early days was to go sell directly to the grocer cuttting out the wholesaler. It was a concept that set Heinz apart from others. Heinz had to offer variety to successfully win over grocers who didn’t want to deal with individual product salesman. In these early years Heinz did not ignore wholesales, in fact he had a strong relationship with Reymer Brothers, one of the nations largest. Reymer Brothers supplied grocers’ confectionaries and preserves throughout Pennsylvania Ohio, West Virgnia and Indianna. Reymer Brothers also exported specialties. Heinz sold mainly preserves to Reymer Brothers who were also known for their bueatiful store displays at Fifth and Penn Avenues in downtown Pittsburgh. 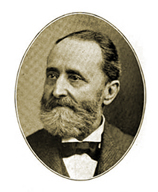 Now, 100-years later the company HJ Heinz founded, would take the assets Jacob Reymer created, and take them to the next level, which included Lemon Blennd. me to take a look at and do so! Your writing style has been surprised me. added- checkbox and now whenever a comment is added I receive 4 emails with the same comment. excellent and i can assume you are a professional in this subject. You’re so cool! I don’t suppose I’ve read a single thing like this before. So good to find another person with a few original thoughts on this subject matter. Seriously.. thanks for starting this up. This website is one thing that’s needed on the web, someone with some originality! site is in fact amazing. I’m looking for. Do you offer guest writers to write content to suit your needs? Hi to all, because I am genuinely keen of reading this website’s post to be updated regularly. be happy. I’ve learn this put up and if I could I desire to suggest you few attention-grabbing issues or suggestions. or weblog posts in this sort of area . Exploring in Yahoo I eventually stumbled upon this site. Reading this info So i am satisfied to show that I’ve a very excellent uncanny feeling I discovered exactly what I needed. I most surely will make certain to do not disregard this website and provides it a look regularly. I think everything typed was very reasonable. But, think on this, what if you were to write a awesome post title? a title that grabbed people’s attention? I mean Lemon Blennd Goes Prime Time -Enter Heinz-Exit Reymer 1961 – Lemon Blennd Lemon Blennd is kinda boring. You might glance at Yahoo’s front page and see how they create news headlines to grab viewers interested. You might add a video or a related pic or two to get readers excited about what you’ve got to say. blog but I do write in my journal on a daily basis. present. It’s great to come across a blog every once in a while that isn’t the same out of date rehashed information. Wonderful read! on regular basis to get updated from latest information. meant to be shared across the internet. Shame on Google for no longer positioning this submit higher! I think that everything posted was very reasonable. However, consider this, suppose you composed a catchier post title? Reymer 1961 – Lemon Blennd Lemon Blennd is a little vanilla. viewers to click. You might try adding a video or a pic or two to grab readers interested about what you’ve got to say. one is getting more from this web site, and your views are nice for new visitors. previous to and you’re just extremely fantastic. what you’re stating and the way wherein you assert it. for to stay it smart. I can not wait to learn much more from you. I stumbledupon it 😉 I am going to come back yet again since I saved as a favorite it. post and if I could I want to suggest you few interesting things or advice. prior to and you are simply too wonderful. I really like what you have acquired here, really like what you are saying and the way in which you assert it. wise. I can not wait to learn far more from you. paragraph is actually a nice piece of writing, keep it up. First off I want to say great blog! I had a quick question that I’d like to ask if you do not mind. come to thoughts) have a similar gameplay mechanic, including the social facet to gameplay could make the violence appear extra intense. Jailbreak: A sport where the objective is to flee from jail with none prison guards or law enforcement officials catching you in the act. I’m extremely impressed together with your writing skills and also with the format to your blog. of drugs, collectibles, and other virtual objects. by having a mum or dad sit with them and work with them to plan and create.